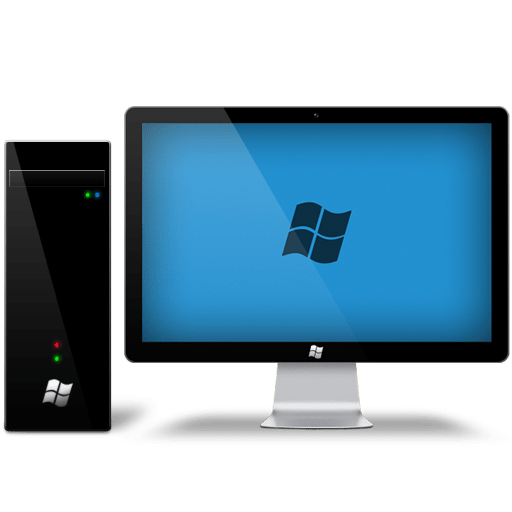 As we know, Windows is the operating system for the computer that is most widely used today. Widnows a favorite of computer users because of its use easy way, zoom is user friendly and time of application support and games galore. But announcing you that there are several alternatives to the Windows operating system can you try? However, not all OS below you can try it directly into your PC. Some of these I recommend for you to install in Virtual Machine (VMware or VirtualBox). GNU / Linux is a derivative of Unix. Linux itself has a lot of distros that have sprung up on the internet such as Ubuntu, Linux Mint, BackTrack, Mandriva, Ubuntu, and so on. Linux OS popularity lies in its efficacy to counteract the virus, easy to use and absolutely free. Some Linux distributions are open source, which means that we can develop our own Linux OS without pay for a dime! Linux-based Operating System is now quite rapid development, many schools in Indonesia are already using Linux distributions such as Ubuntu PCs in school. Mac OS X is still “brothers” with GNU / Linux because it is still among the derivative of Unix. Some of this year has appeared several versions of OS X that can be installed in a normal PC called Hackintosh. Of course, the installation process is not as easy as installing hackintosh Windows or Linux distributions. Need extra patience and knowledge when installing OS X in the PC. Some already have a Hackintosh OS is the name of the OS X Snow Leopard by Hazard, iatkos ML 2 (based on OS X Mountain Lion), Yosemite Zone (Based on OS X Yosemite). OS X from Apple is now free and can be downloaded via the Apple AppStore officially. Android OS is currently booming among smartphone users. Almost all smartphones in circulation already using the Android OS. You could say this Android as “Windows Mobile version” in terms of popularity (not Windows Phone loh!). Android became a boom due to the support of applications and games that are abundant, especially to get android application is now very easy. Quite Access Google Android Playstore and select the desired application. Now some of the Android OS can be used into the PC / Laptop. Androidx86 is an example of the OS that can be installed directly into the laptop. And for users who do not want to remove the primary OS on a laptop, can use as BlueStacks Android Emulator, Droid4X, GenyMotion and so on. Chrome OS is Google’s operating system that is devoted to the Google (ChromeBook). Chrome OS can only be executed via the Google Chrome browser and to run the application should be through the Chrome Store. Chrome OS is not very suitable for those who have internet speed is not stable because Chrome OS requires an Internet connection to run. Anyone ever heard of this OS? yes I was the first time to hear it! The name is quite unique indeed. Haiku is the OS development of BeOS. BeOS is the Operating System was developed by Be Inc., but now it is not resumed. Haiku as one clone of BeOS continuing development of BeOS. Haiku OS lightweight enough to be used on a PC, but do not expect much to support applications and games on OS Haiku. OS / 2 is an operating system developed jointly by Microsoft and IBM, but in the process of development is only followed by IBM. Microsoft itself eventually develop MS-DOS (ancestors Windows) and subsequently as we know at this time how the superiority of Windows. OS / 2 is now not developed by IBM, but there is a company called Serenity Systems that have the right to distribute the OS based on OS / 2. Serenity Systems mention OS / 2 as eComStation. Did you know, though rarely used this eComStation turns paid! ReactOS is an operating system for free and open-source architecture based on Windows NT. So you could say as a free version of Windows. ReactOS course suitable for several Windows-based applications. thank you so much for your recent emails. Most informative, indeed.